Some people choose Windows 10 and others have Windows 10 thrust upon them. Microsoft has taken many pains to guide you to upgrading your PCs to Windows 10. Depending upon whether you volunteered for this change or not, you may be experiencing a bit of frustration. If you were not a Windows 8/8.1 user, this may seem even a little more daunting than coming from Windows 7. Knowing a few simple tricks will have you up and running in no time. Free Windows: If you update before July 29, 2016, Windows 10 is free for users of Windows 7 or 8/8.1. Not paying for Windows is a good thing. So, if you haven’t upgraded already, plan to do it soon. Booted up, already? Yes, it is! If the last operating system you had was Windows 7, you may not believe the utter speed of Windows 10. It boots up in seconds, not minutes, and it shuts down nearly as fast, depending upon what you had open. 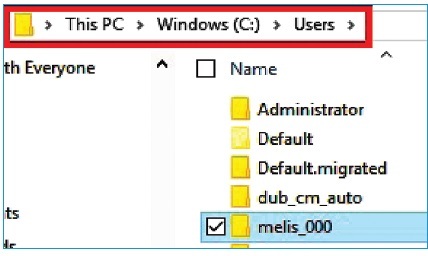 Windows button: If clicked on the Windows button in your old system, just click on the new one. Clicking on that list icon will bring up a list of your most recently used apps and websites. Where’s the desktop? If you’re looking at a bunch of tiles and are not sure what to do next, just click that Windows button again and you’ll see your desktop. Where are my files! Not knowing what Windows 10 did with your files has probably caused you to panic. Even a search may just seem to crank into oblivion until your system completely re-indexes itself the first time. Click on the yellow envelope icon that is File Explorer. You may know it as Windows Explorer. Try this navigation: This PC > Windows (C:) > Users > Your Name (or computer identifier). Now, start looking for your old folders and files. How do I get on the Internet? In the lower right corner of the screen, you’ll see a little carat or up arrow ^. C lick this to see the icons you used to see in your system tray. 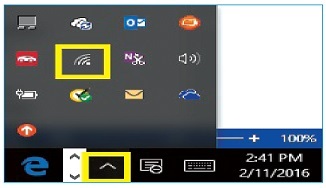 Click on the one that looks like the wireless network bars, or a computer screen with a little box in the upper left. This will bring you to the list of networks you can connect to, and a button to put you in Airplane Mode. Can I still create desktop shortcuts? Sure. Before you create desktop shortcuts for applications, try this. While you have the application open, like Word, for example, right-click on the icon in the taskbar at the bottom. Then choose Pin to Taskbar. It will now always be at the bottom. Don’t like living on the Edge? Edge is a fine browser, better in many ways than Internet Explorer. However, it’s still new and doesn’t work smoothly with everything. Until Microsoft shakes out all the idiosyncrasies of Edge, keep Chrome, Firefox or another “old standby” browser available. OneNote: Help, I've got too many notebooks!